1. 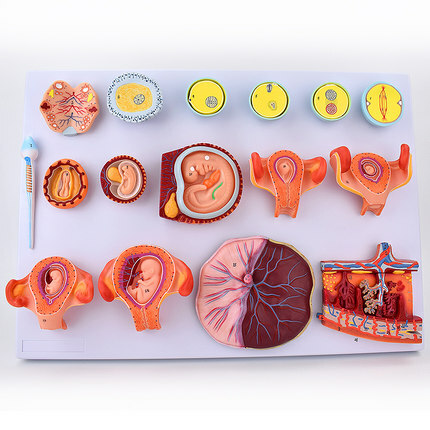 Shows the development from ovum to the fetus in third month. 2. 16 positions are displayed.